In an effort to promote an outdoor and adventure lifestyle, we have decided to start posting articles from various other sources pertaining to everything adventure related. ​I am for Team Gleason! No white flags! If you’ve been hiding under a rock or living in Canada, and don’t know this story, watch the new documentary about Steve Gleason. Its raw, real, and completely inspiring. It’s about an ex-NFL player for the New Orleans Saints, who inspired the world through his battle with ALS. Life is a little sweeter without the sweetener: It’s never too late for a new year’s resolution. ​It started off as a simple challenge: “I don’t think it’s possible for someone to go one year without sugar.” It turned into one of the best triggers for my life. What made the United States of America in its infancy the perfect eco-system for prosperity, growth and happiness? What gave it such great potential? Why was America a land of dreams and opportunity? More importantly, how can we replicate it? How can we go back to move forward? Do what you want to …Become. If you are like me, you want to challenge yourself within the boundaries of your personal limitations without being overwhelmed by the crowds of people who flock to the more common, easy to get to, hiking spots. 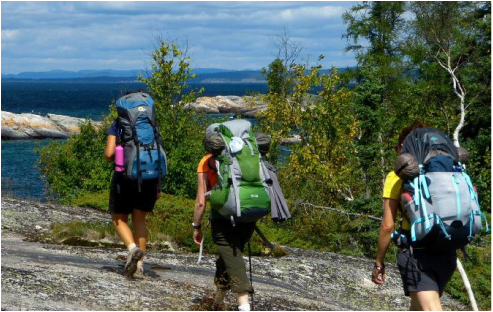 To help you achieve this, we've been putting together what we consider to be the top 25 hikes in each Canadian Province. 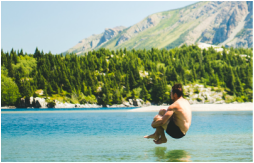 We go camping in Waterton Lakes National Park every summer and it's one of our favourite places to visit near Calgary. Since we've always loved Waterton so much, we wondered what it would look like in winter. Enjoying time out on the water with a stand up paddle board (SUP) or and inflatable stand up paddle board (iSUP) is not limited to warm weather and sunny skies. SUP enthusiasts can also ride in cold weather conditions if they take the proper precautions to remain safe and comfortable. Here, Rynkowski gives us her personal smorgasbord of SUP-supporting activities. ​ For the full article click here.